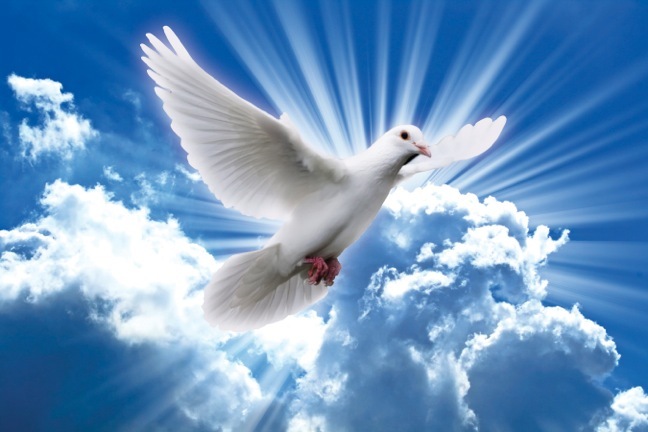 Home › Who is Holy Spirit? 1. The work and activity of the Holy Spirit proclaim personality. John 14:26; 15:26; 16:7-8, 13-14; Acts 16:6-7; 1 Tim. 4:1; Rev. 2:7. 2. The Holy Spirit does the work of a divine Being, as a member of the Godhead. Neh. 9:20; Rom. 8:27; 1 Cor. 2:11; 12:11. Compare Matt. 3:16-17; 28:19; 1 John 5:7. 3. The Holy Spirit possesses divine attributes or characteristics. Psa. 139:7-10; 1 Cor. 2:10-11; Gen. 1:1-2; Job 26:13. 4. The Holy Spirit of God gave us the inspired Word of God. 2 Pet. 1:20-21; 2 Sam. 23:1-3; Matt. 22:43-44; Eph. 3:1-6; 6:17; 2 Tim. 3:16-17. 5. The Holy Spirit confirmed the Word of God with miracles, signs, and wonders. Matt. 12:28; Mark 16:20; Heb. 2:1-4. As we have read in the previous verses, the Holy Spirit is not some force, power, or inanimate influence, but is a divine personality and member of the Godhead. Further evidence of the Spirit’s personality is seen in that He can be grieved by the misbehavior of those who would claim to be God’s people (Eph. 4:30; Cf. Psa. 78:40-41). The children of Israel grieved God in the wilderness, and God’s people can grieve the Spirit of God today when sin is committed. Also, in the previous outline, the Scriptures mention some of the work of the Holy Spirit in revealing the mind of God and, therefore, indicating His divine nature and membership in the Godhead. The role of the Holy Spirit in the creation clearly reveals His divine power and attributes of deity. The previous outline pointed to several Scriptures that reveal the work of the Holy Spirit in giving us the inspired Word of God, the Bible. God spoke and revealed His divine will by means of the Holy Spirit, who inspired the various men of God as they wrote down the holy Word for all time. In giving us the Bible, the Holy Spirit enabled apostles, prophets (and others with spiritual gifts), to perform miracles, signs, and wonders in order to confirm the message as truly being from God, and not the word of mere men.